Qt has evolved into a remarkably powerful solution for cross-platform desktop, Web, and mobile development. However, even the most experienced Qt programmers only use a fraction of its capabilities. Moreover, practical information about Qt's newest features has been scarce--until now. Advanced Qt Programming shows developers exactly how to take full advantage of Qt 4.5's and Qt 4.6's most valuable new APIs, application patterns, and development practices. 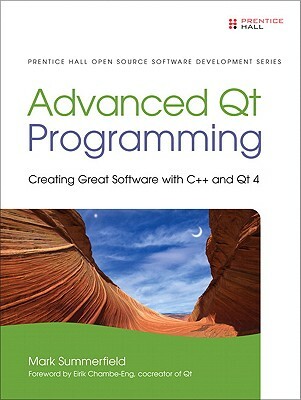 Authored by Qt expert Mark Summerfield, this book concentrates on techniques that offer the most power and flexibility with the least added complexity.